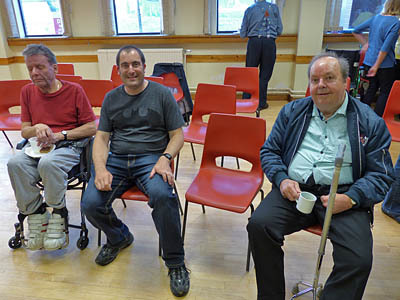 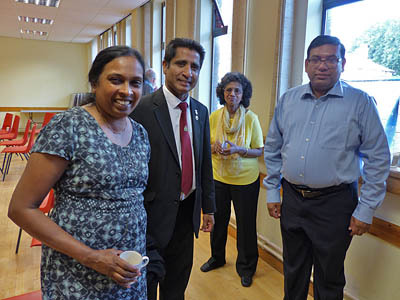 This event was held at the Harrow Baptist Church in Harrow, Middlesex on Wednesday 15th June 2016. 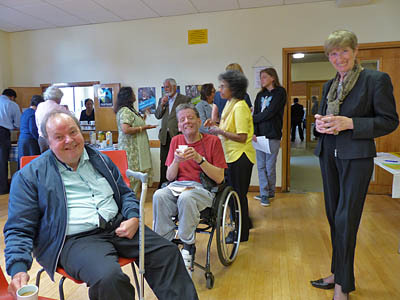 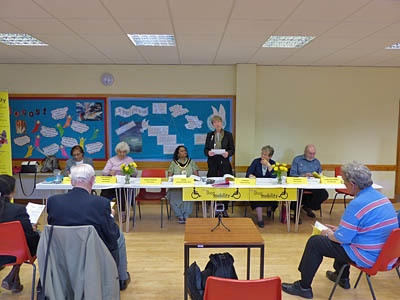 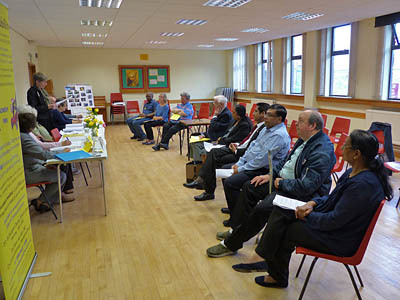 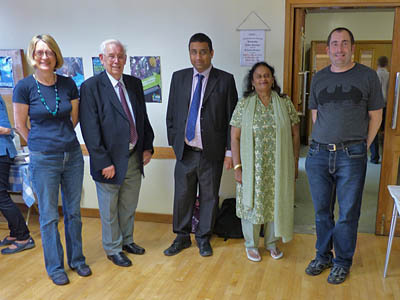 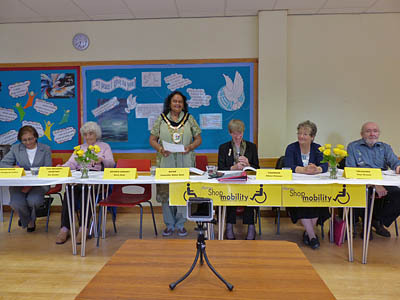 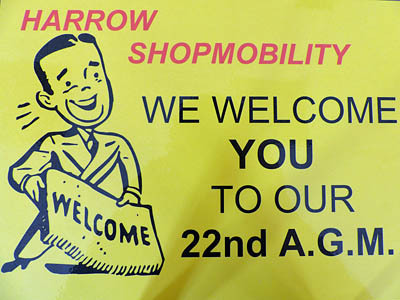 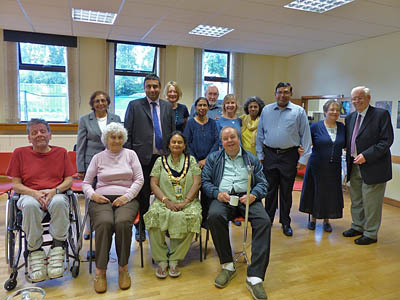 The AGM was chaired by the Mayoress of Harrow. 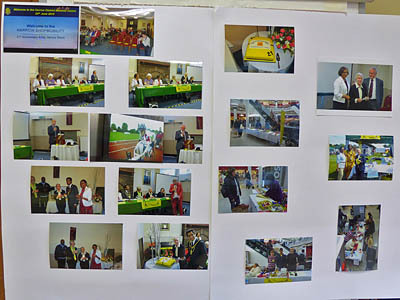 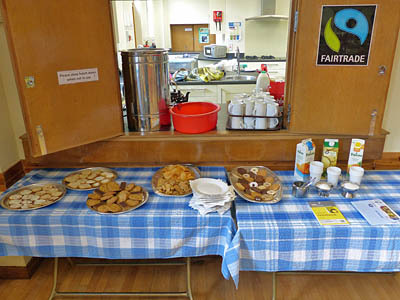 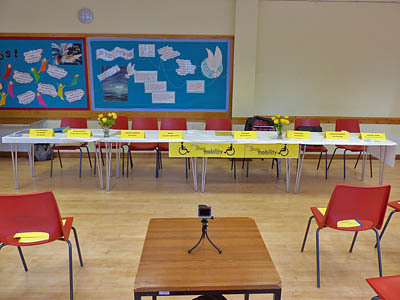 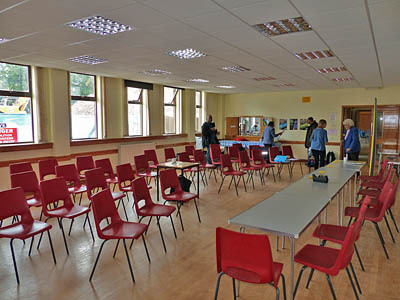 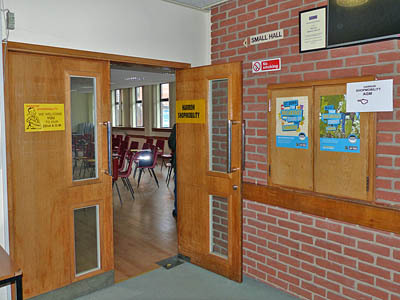 Display of photos from the 21st Anniversary AGM and other events from last year. 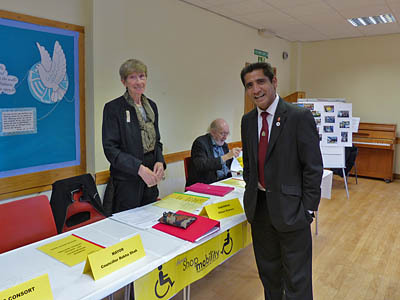 Chairman Mrs Eileen Kinnear with last year's mayor Councillor Krishna Suresh. 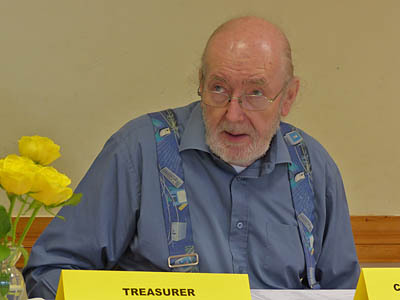 Mr John Allwright in the background. 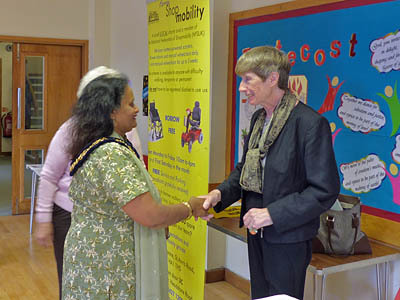 The Worshipful The Mayor of the London Borough of Harrow Councillor Rekha Shah greeting Mrs Eileen Kinnear. 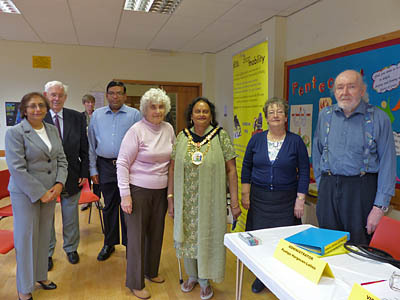 Mrs Pushpa Hargovan-Lalloo, Mr Neville Hughes, Mrs Eileen Kinnear, TODO, Mrs Ann Scotter, The Worshipful The Mayor of the London Borough of Harrow Councillor Rekha Shah, Mrs Gaye Branch and Mr John Allwright. 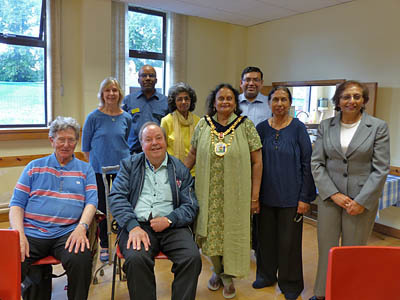 The Worshipful The Mayor of the London Borough of Harrow Councillor Rekha Shah with a number of the Harrow Shopmobility volunteers. 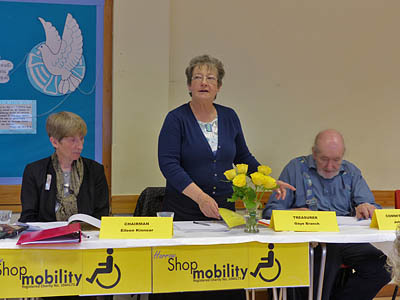 Chairman Mrs Eileen Kinnear opening the AGM. 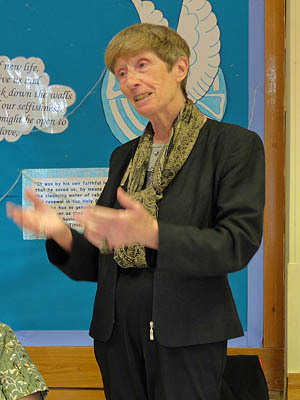 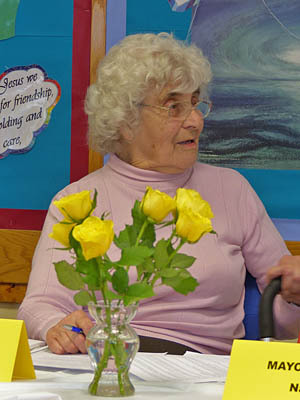 Chairman Mrs Eileen Kinnear speaking. 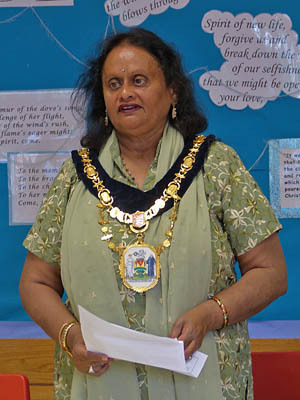 The Worshipful The Mayor of the London Borough of Harrow Councillor Rekha Shah. 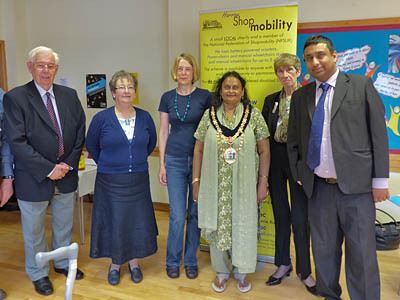 The Worshipful The Mayor of the London Borough of Harrow Councillor Rekha Shah speaking. 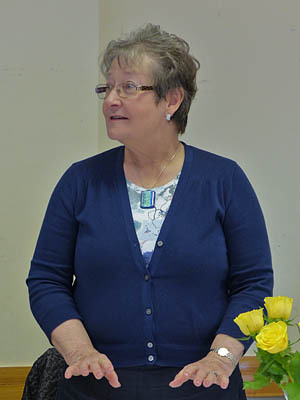 Vice President Mrs Ann Scotter. 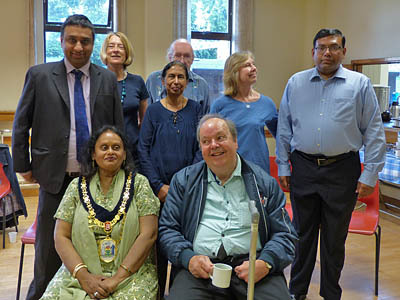 The Worshipful The Mayor of the London Borough of Harrow Councillor Rekha Shah, Mrs Pushpa Hargovan-Lalloo, Mayor's Consort Mr Navin Shah and Mrs Gaye Branch enjoying refreshments after the meeting. 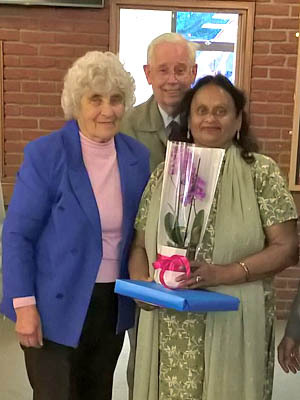 Mrs Sasikala Suresh, Former Mayor Councillor Mr Krishna Suresh, Mrs Indra TODO, Mr TODO. 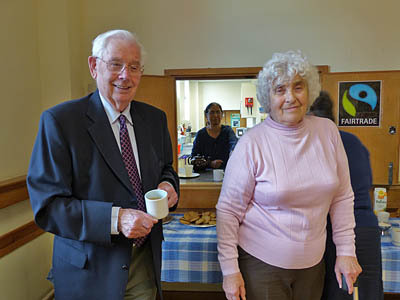 Mr Neville Hughes and Mrs Ann Scotter. 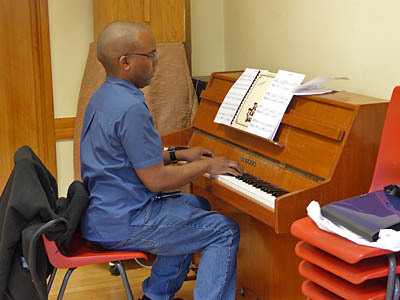 Mr Leon Edwards getting handy with the piano. 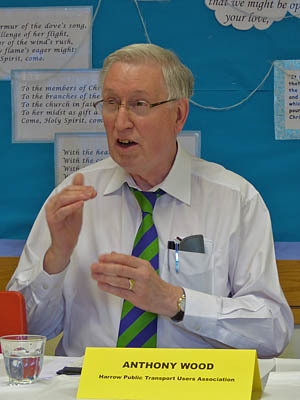 Mr Anthony Wood giving a post refreshments speech. 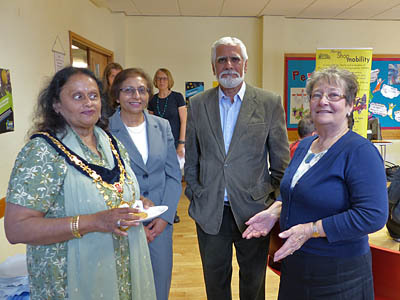 Mayor of Harrow Councillor Rekha Shah with President Mrs Ann Scotter and Mr Neville Hughes Vice President.